Asking “Have you eaten?” is one way Taiwanese typically greet each other. 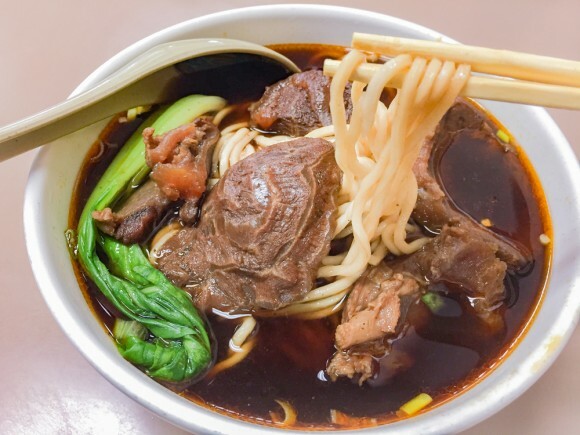 With all the hearty, delicious food Taiwan has to offer, it’s nearly impossible to turn down an offer of a scrumptious meal, even if you just ate. Taiwan’s culinary tradition has diverse roots. Hakka Chinese settled in Taiwan, a subtropical island in the South China Sea, starting in the Ming Dynasty (1368–1644). Immigrants from the southern province of Fujian came during the Qing Dynasty (1644–1912). Then the Japanese established colonial rule (1895–1945) over Taiwan. The Taiwanese have adopted cuisines from different regions, and reinvented them with new flavors and indigenous flare. 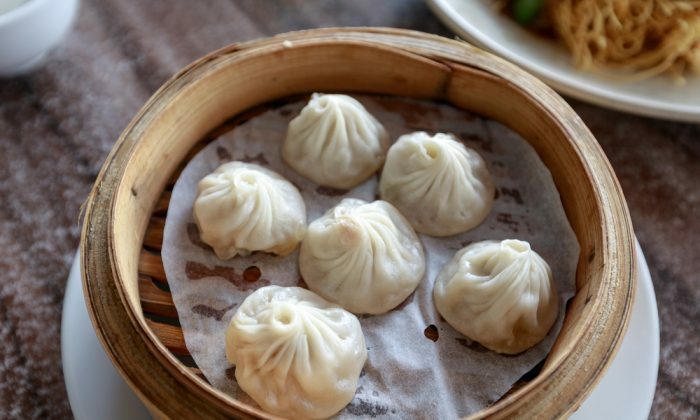 For instance, xiao long bao, or delicate dumplings filled with pork and heartwarming soup, are native to the coastal Chinese city of Shanghai. The Taiwanese took the recipe and added ingredients like luffa, a crunchy and refreshing gourd. 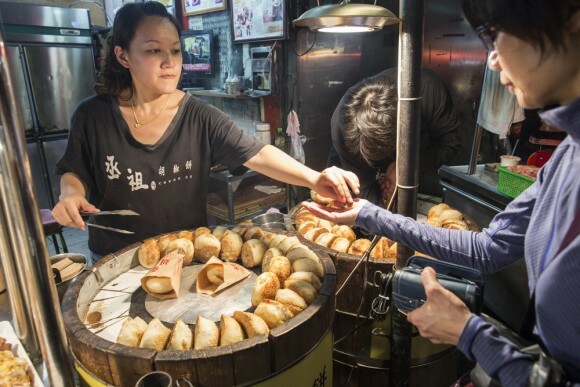 At the heart of Taiwan’s culinary tradition is street food. Tourists and native Taiwanese alike flock to the island’s lively night markets, where vendors sell xiao chi, or “small eats,” like stinky tofu or Taiwanese sausages. 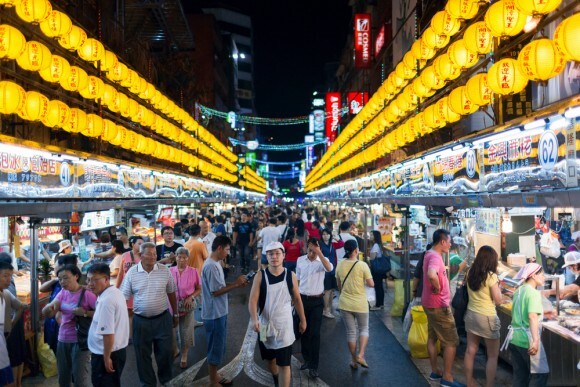 Taiwan’s night markets originated near temples. Worshipping is a hungry business, and soon food vendors started showing up with their tasty snacks. As more vendors gathered, vibrant night markets emerged, like the famous Keelung Miaokou Night Market outside of Dianji Temple. Today, high-end restaurants also serve Taiwanese xiao chi, cementing its status as an integral part of Taiwanese culture. Taiwan’s diverse geography—it’s not only surrounded by the sea, but also covered with both mountains and fertile plains—allows for many ingredients to be sourced locally. In recent years, an “eat local” trend has seen more Taiwanese take up the island’s small farming tradition again. Brimming with eclectic and delightful cuisine, Taiwan is a must-visit destination for every food connoisseur. The best of Taiwanese cuisine will be showcased at the annual Taiwan Culinary Exhibition in Taipei World Trade Center from July 21 to 24. Every year, thousands of foodies rush to the event to taste the island’s original flavors, watch world-class chefs demonstrate their culinary prowess, and sample delicacies from Taiwan’s indigenous groups, as well as from mainland China, Japan, and other countries. Lu rou fan, or braised pork over rice, is the quintessential comfort food of Taiwan. 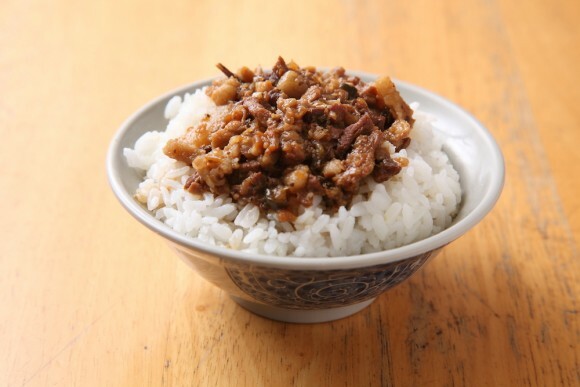 Juicy, minced pork is braised with soy sauce and spices, and then spooned over steaming hot rice. The best braised pork has a perfect balance of fat and lean meat. Cheap, simple, and addictively good, lu rou fan can be found in household kitchens and in street stalls. Chou dou fu, or stinky tofu, smells abhorrent but tastes amazing to those brave enough to endure the olfactory onslaught. The Taiwanese say the smellier the dish is, the better. The tofu is fermented for several days to a week in a brine made from ingredients like Chinese cabbage, tea leaves, meat, shrimp, and milk. 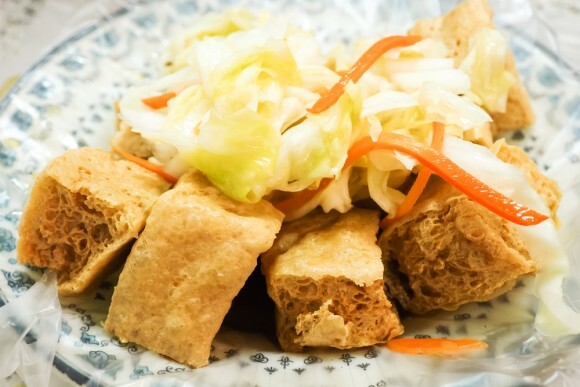 Street vendors in Taiwan boil, stew, or deep-fry the bite-sized tofu squares and serve them with pickled cabbage. Recently, a popular variant is ma la stinky tofu, where the tofu squares are bathed in a fiery Sichuan-style chili oil. San bei ji, or three cup chicken, is a flavorful Taiwanese classic with three essential ingredients—rice wine, sesame oil, and soy sauce. Most chefs also spice up the dish with plenty of garlic cloves, ginger slices, and fresh basil. 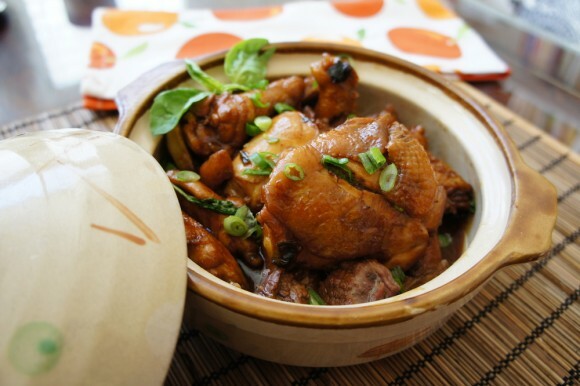 The tender meat is cooked in an earthenware pot until it has absorbed all the delicious flavors and served sizzling hot so as to keep the chicken’s delightfully crisp texture. 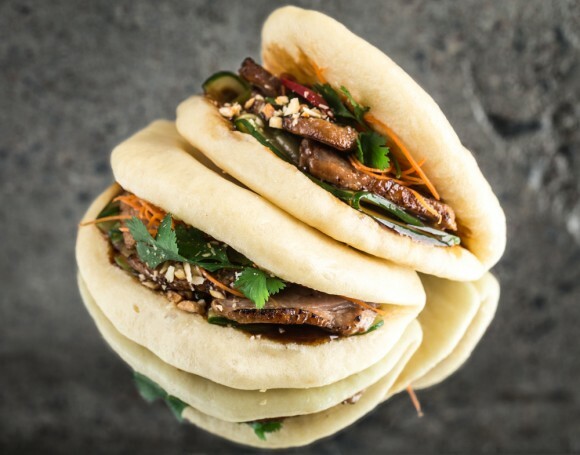 Gua bao, or pork belly buns, is a Taiwan-style burger with braised pork belly, pickled Chinese cabbage, cilantro, and ground peanuts tucked into a folded steamed bun. Some inventive chefs have included novel ingredients in the fillings, like fried chicken, fish, eggs, or stewed beef. In some parts of Taiwan, gua bao are colloquially called ho ka ti, literally “tiger bites pig,” a nod to their mouth-like shape and the pork filling inside. 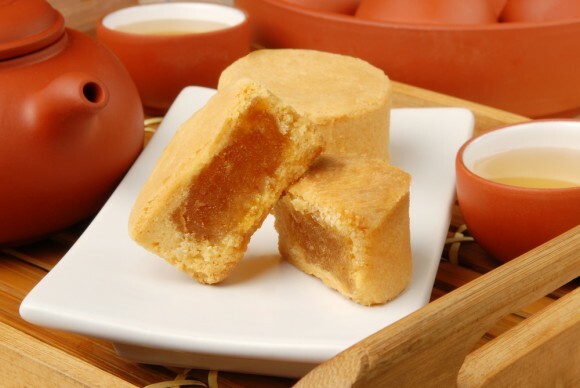 Feng li su, or pineapple cake, is a popular Taiwanese pastry that tourists often buy to hand out as souvenirs. The crumbly, buttery crust of these bite-sized pastries is filled with a chewy and tangy pineapple jam. In the local dialect, the word pineapple is a homophone for “ong lai,” which means the arrival of prosperity. So wedding cakes in Taiwan traditionally contain pineapple filling to symbolize the hope that many children will be born from the happy union. Nowadays, some bakers also add winter melon to the jam filling. 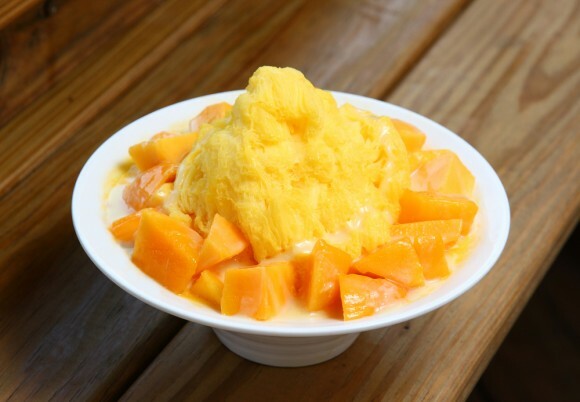 Bao bing, or shaved ice, is a refreshing Taiwanese dessert that’s perfect for the sizzling summer months. Street vendors and dessert shops in Taiwan dribble sweetened condensed milk or syrup over a mountain of shaved ice and top it with an eclectic array of ingredients like taro, strawberry, azuki beans, pudding, grass jelly, or a scoop of fresh ice cream. Of the myriad topping choices, mango is the national favorite.